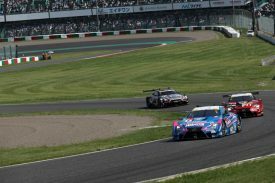 The 2017 AUTOBACS SUPER GT Round 6 the “46th International SUZUKA 1000km” was held on August 26th and 27th. As this event was going to be the last “Suzuka 1000km” race which has been taking place since 1966, every driver had a special feeling towards this event and was determined for the race. To witness this one and only traditional mid-summer event of 5 and a half hours of action-packed racing, a total of 72,500 GT fans gathered at Suzuka. The official practice session in the morning (9:20-11:05, cloudy skies, outside temperature 23℃) was started in wet condition due to precipitation at dawn. However, as sunlight was once shining, the tracks dried within 30 minutes and outside temperature made a quick rise up to 29℃ (track temperature 34℃). 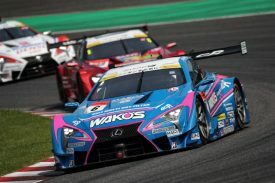 Along with the 15 cars of the GT500 class and the 30 cars of the GT 300 class which entered the race, LEXUS TEAM LEMANS WAKO’S (car No.6) Andrea Caldarelli and Kazuya Oshima pair finished the session in P10 with a record of 1’48.839 despite being imposed a weight handicap which amassed a total of 86kg (on board weight 36kg + fuel restrictor level 3). It was soon 14:50, the time for the first official qualifying round (Q1) for the GT500 class. 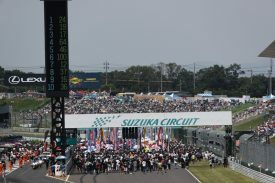 Clear skies stretched over Suzuka circuit, and outside temperature rose up to 33℃ under strong sunlight. 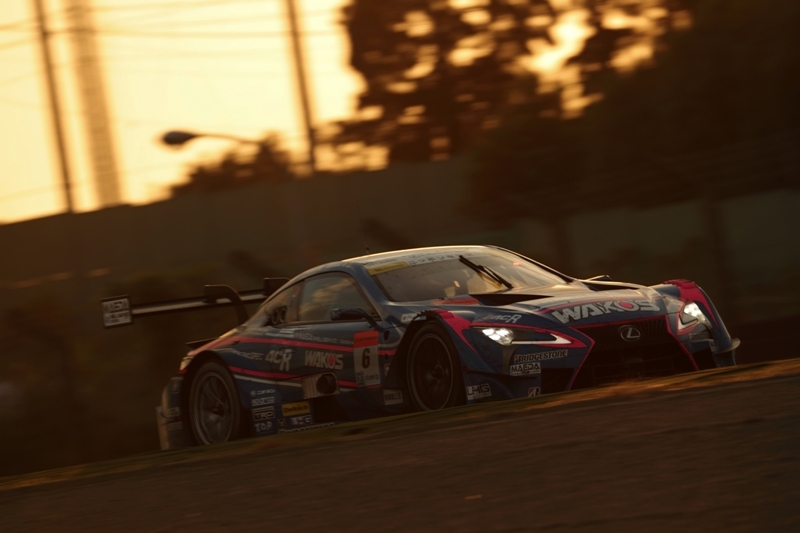 Kazuya Oshima, appointed for Q1 (14:50-15:05) of the GT500 class for LEXUS TEAM LEMANS WAKO’S, boarded the WAKO’S designed Lexus LC500 and performed an aggressive speed run. Unfortunately, his best record 1’49.002 was only good for P11, and could not make the P8 cut for Q2. 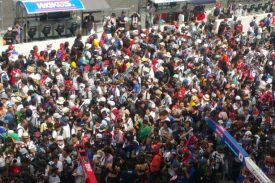 Although temperatures were at the highest, Suzuka circuit was welcomed with the occasional breeze as many fans gathered from the morning to witness the historic event “SUZUKA 100-km THE FINAL 1966-2017” which was about to begin. 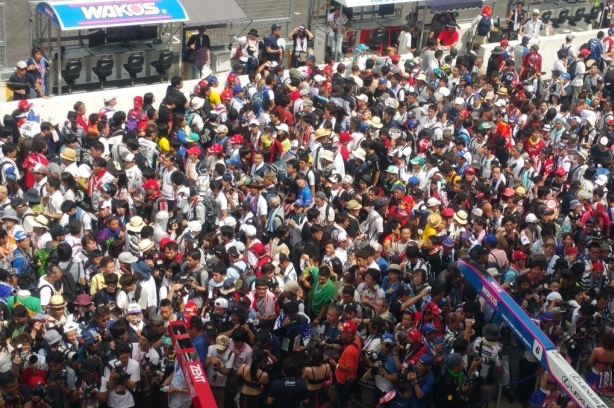 Before the race, fans enjoyed pit walk, autograph sessions, and photo sessions. After a brief warm up session (10:55-11:15), the event’s schedule finally moved on to race start at 12:30. 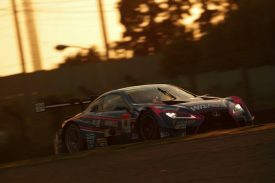 LEXUS TEAM LEMANS WAKO’S Andrea Caldarelli on car No.6 started on the 6th row of the GT 500 class, dropped his position to P12 on the opening lap, but maintained consistent driving throughout the early stages of the race despite weight handicap equivalent to 86kg. 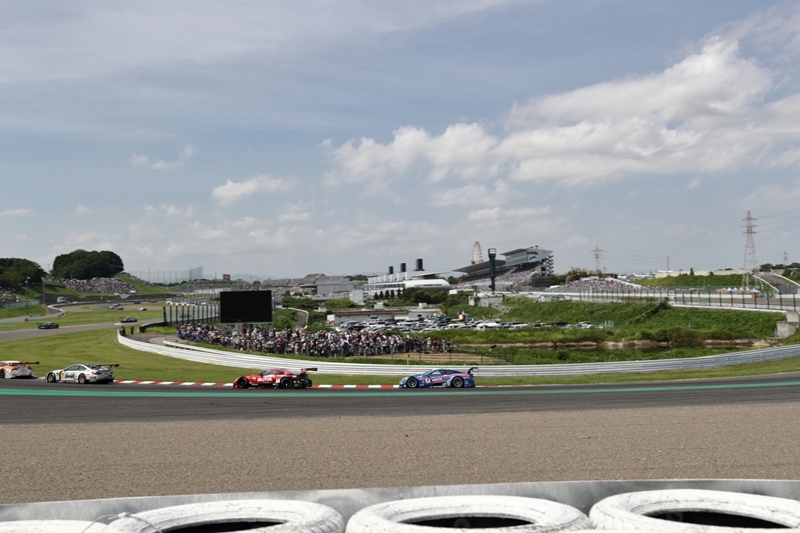 Finishing his first 28 lap stint as scheduled, the No.6 car was handed over to his partner Kazuya Oshima. 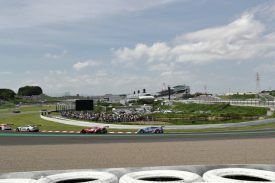 On lap 40 while car No.6 was in 12th position, an accident brought the Safety Car (SC) on the course. Maintaining the same position, car No.6 made its second pit stop after finishing lap 57. The crew performed a quick and successful pit-work as Andrea came back on the tracks for his second stint gaining one position. 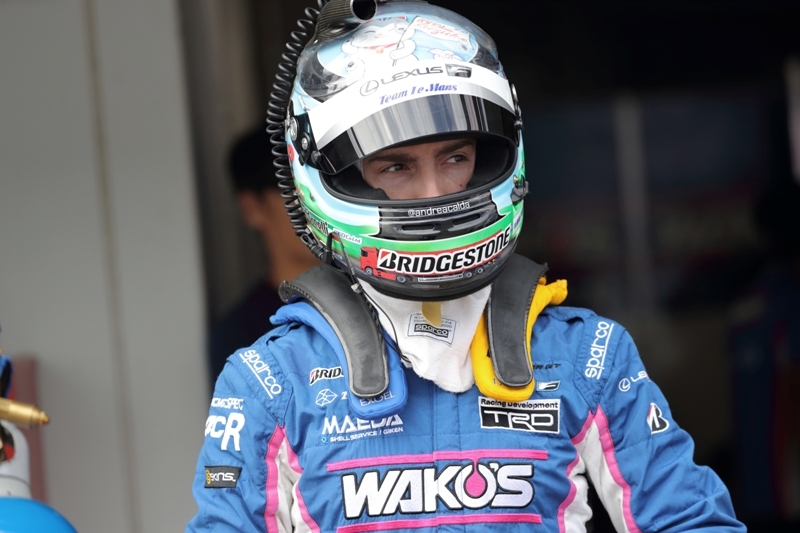 After that, 1 car retired off course, and Andrea on WAKO’S 4CR LC500 moved up to P9. 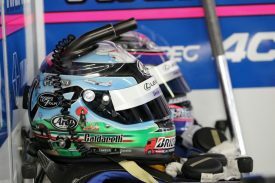 The team called Andrea back to the pit after finishing half of the total race distance on lap 88, and a third driver change, tire change, and refueling was done. The WAKO’S designed car was back in Kazuya Oshima’s control as he performed with endurance despite a second SC run was initiated after another accident. 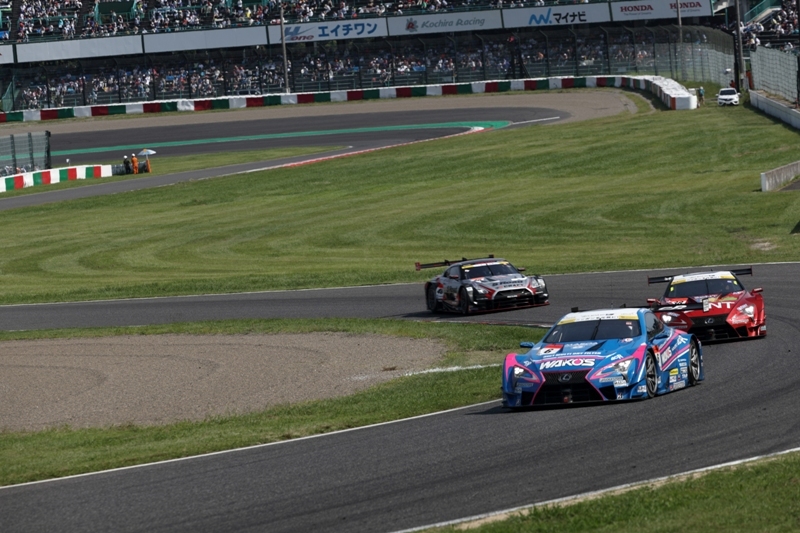 As other cars in higher positions were imposed with certain penalties, Oshima moved up to P7, and came back to the pit finishing lap 120. Andrea Caldarelli then took the wheel, racing under constraint to preserve the soft tires, he unwillingly dropped his position to P9. Although appealing over the team radio that the car was in oversteer, Caldarelli endured throughout his stint and made the last pit stop after completing lap 144. The car was entrusted to Kazuya Oshima for the sixth stint. 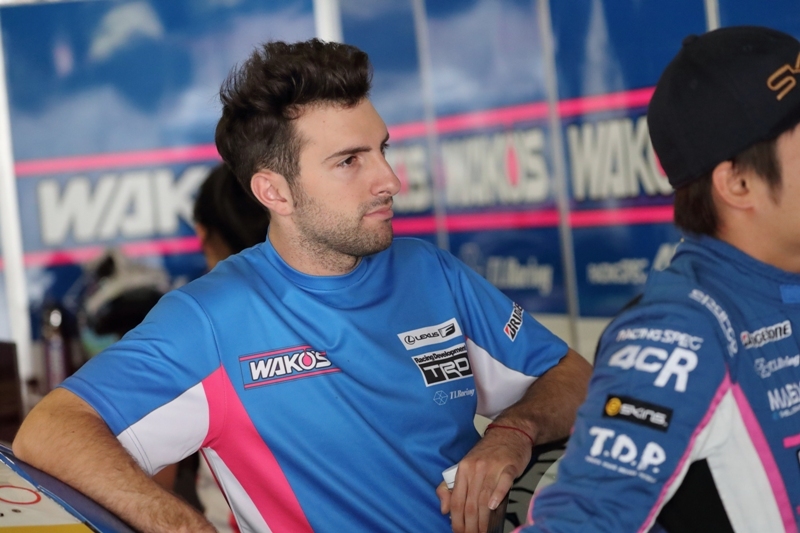 Skillfully driving the WAKO’S 4CR LC500, Oshima kept pushing, and moved up to P7 as two cars retired from the race. The race reached its maximum extension time at 18:28, and the checkered flag was waved on lap 172. Car No.6 of LEXUS TEAM WAKO’s finished in P7, earning 5 points. 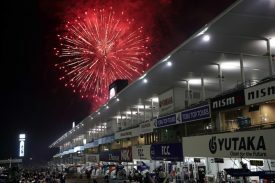 The next SUPER GT Round 7 of this season will be staged at Chang International Circuit in Tailand (Buriram province) as the exclusive overseas round of the series over October 7th and 8th.